The green movement is here to stay. Demand has become so large in the green remodeling movement that there are endless materials and appliances that are developed in an earth-conscious fashion. Jacksonville residents do not have to worry about skimping on style or paying substantial sums in order to remodel their homes in an environmentally friendly fashion. 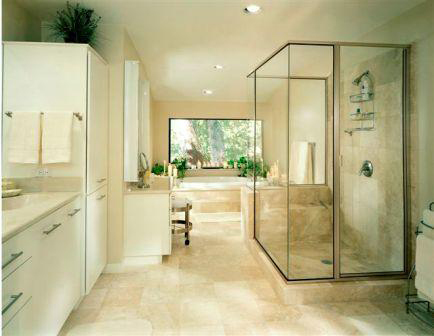 The room that is easiest to remodel in an environmentally friendly way is your Jacksonville bathroom. Your bathroom remodeling project is a great place to start because the room is relatively small and because your bathroom consumes large amounts of water and energy. The bathroom remodeling contractors at Atlantic Total Solutions can help you design and install a green bathroom that looks amazing and reduces your family’s environmental impact. 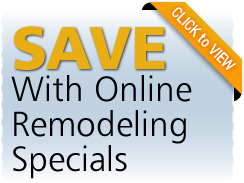 Even better, some of the following tips provided by the bathroom remodeling professionals at Atlantic Total Solutions can help you save money on your monthly utilities. Perhaps the largest environmental impact that your Jacksonville bathroom has is its massive water consumption. When you remodel your bathroom, you should install appliances that use lower volumes of water per usage. The bathroom remodeling professionals at Atlantic Total Solutions can install a dual flush toilet system or low volume shower head in order to help you conserve water in your Jacksonville bathroom. The dual flush toilet system can save upwards of 17,000 gallons of water per year alone. These simple water saving methods are easy ways to go green during your bathroom remodeling project. Likewise, they are quick ways to see savings on your monthly utilities. The bathroom remodeling contractors at Atlantic Total Solutions can assess the unique nature of your current Jacksonville bathroom to determine if there are any ways that you can improve your energy efficiency. The largest active consumer of energy within your bathroom is your hot water usage. A way to converse energy in this respect is to install a tankless water heater. Tankless water heaters only heat on demand, so there is no energy wasted in order to keep a large volume of water preheated. The green movement is not purely about water and energy consumption. It is also concerned with the sustainability of resources as well as the environmental impact of manufacturing processes. 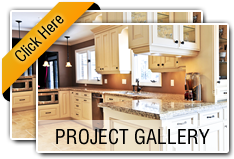 The bathroom remodelers at Atlantic Total Solutions have experience with and knowledge about a wide range of environmentally friendly resources. Their green material experts can give you the details as to which products conform with your environmentally sound goals. They will provide you with a wide range of sample material that is sustainably sourced, fully recycled, or made from recycled content. These materials are of the highest quality and come in countless varieties to fit any bathroom remodeling design scheme.